In today's threat environment, traditional approaches to securing networks are necessary but not enough. Attacks on networks are more disruptive and expensive than ever, threatening productivity, customer service, and business continuity. Today every network device, whether internal or external, now represents a potential point of entry. As a result, the best place to apply security policies and control these points is the network itself. By incorporating an intelligent filtering system into the infrastructure, the network is able to react to known attacks and adapt to new ones. A single security component with seven layers of OSI protection (L2-7) with filtering capabilities at the network and application-level protocol. Protection against internal and external attacks to the network. Integrates with single sign-on, offers detailed logging, supports powerful content filtering, and deep packet inspection for complete protection to Web service, e-mail, file transfer, Windows services, DNS, and other network protocols. 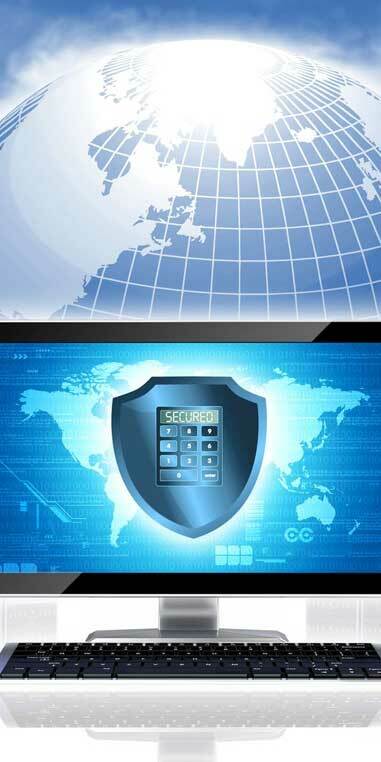 Enhance network security with the Karsof™ Protection Shield. Most anti-virus software has a shelf life of one to two years and does not fully guarantee against all viruses. Karsof Protection Shield uses artificial intelligence to analyze programs to determine whether they have a malicious intent. By detecting all forms of worms and viruses, even those without an identifiable pattern, these threats are prevented from infecting the computing system. Protection is carried out without any pattern databases, enabling it to work against both known and unknown content.This fail-proof, unique system requires only a one-time investment and is fully compatible with most platforms. Karsof Integrated Network Security and Karsof Protection Shield have already been adopted by several government agencies and corporations. Contact us if you’d like to learn more about protecting your organization.